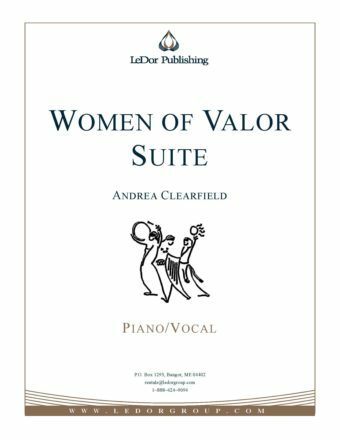 The “Women of Valor Suite” is derived from the larger cantata, Women of Valor, a celebration of women from the Old Testament. The cantata was inspired by a midrash (biblical commentary) on Proverbs where each line of the biblical text from Proverbs 31 represents a biblical woman. Women of Valor highlights the stories of Sarah, Leah, Rachel, Jocheved, Miriam, Hannah, Jael, Michal, Ruth and Esther.